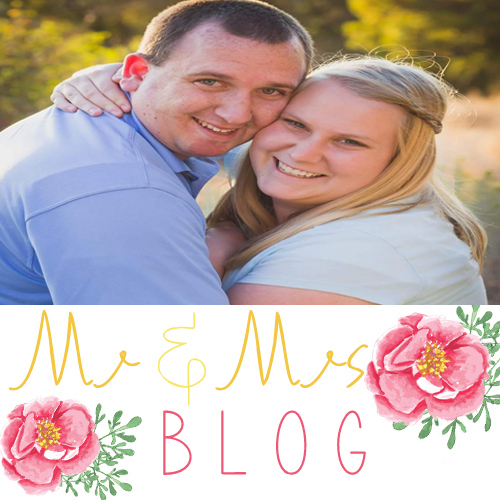 Mr & Mrs Blog: We're back! Well hello! We're back! (sort of!) As you probably can tell there have been some changes to the blog! 2.We got a new look! Fun springy but also summery. As you can see in the above picture .. those are our new colors. So pretty! ha ha! 3. (hasn't happened just yet ...) But we are getting a new domain! WOO! This will probably be happening in the next few days so we will update you with that. BUT with that all being said expect a brand new post with updates on what we have been doing lately. Thank you all so much for your patience as we go through this transition.